Find out where your favorite heroes rank in the 2019 meta. If you’re one of the players in Overwatch sitting at your screen thinking, “who should I play?,” this list may help you out. One of the most interesting (and complex) parts of Overwatch is how quickly heroes can become surprisingly useful in a meta, or how quickly they can dive down the rankings. While the pure enjoyment of playing a hero should still be a motivator, sometimes it helps to know what’s working for the top players. These hero ranking tiers reflect play time and general success with heroes in professional, organized competitive Overwatch, such as the Overwatch League and Contenders. This may not necessarily reflect a player’s experience on the competitive ladder, but it’s a good place to start when considering which heroes to learn or perfect. This tier essentially showcases the most played variation of the triple-triple composition (or GOATS) that’s dominating professional Overwatch. Lúcio is a must-pick because of his Speed Boost, which allows teams to collapse onto an opponent quickly. The same can be said for offtanks D.Va and Zarya, who are primary damage dealers and clutch fight winners in this composition. Brigitte’s Shield Bash and passive healing support her damage dealers, while Zenyatta and Reinhardt’s ultimates can save an entire team from their demise. The heroes in this tier are those who can be used in variations of the triple-triple compositions. Winston can be run as a main tank to “dive” onto opponents. Ana is useful for her anti-healing grenade, which quickly reduces the effects of Brigitte and Zenyatta’s healing. Sombra is often chosen in lieu of D.Va because of the massive power of her EMP ultimate against tank-heavy compositions. 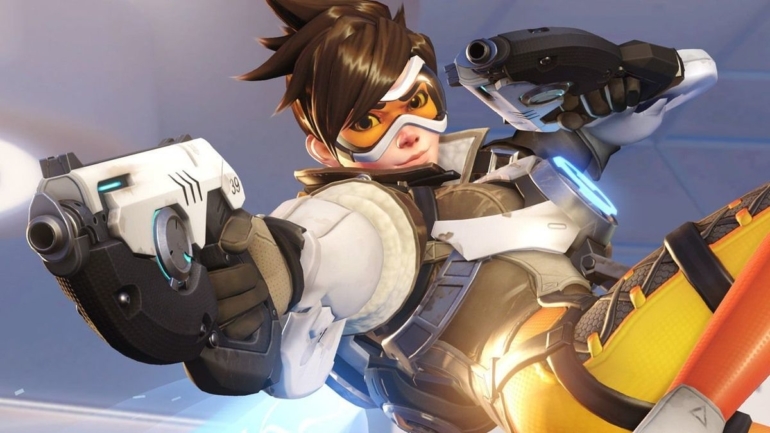 Many teams in high-level competitive Overwatch have begun running compositions that require triple or even quadruple DPS heroes in an attempt to unseat triple-triple. Wrecking Ball is often the main tank, while a Mercy and Pharah combination is also common. Thanks to McCree’s buffed Fan The Hammer and Reaper’s buffed Lifesteal, they’re both picks that can contend with heavy tanks. Moira, Mei, Widowmaker, and Tracer are still useful picks for multiple maps and situations. This tier is made up of heroes that have only been seen in competitive Overwatch in very specific situations or on maps where their kits are useful. For example, Orisa and Roadhog do well on maps with environmental kill potential, like Ilios Well. Hanzo, Junkrat, and Bastion are great for shield-breaking a tough defense. Genji’s Reflect can still take down a Bastion or Torbjörn—the turret master is still a decent pick on defense. Symmetra is most commonly used for, of all things, extremely aggressive pushes on Control maps thanks to her Teleporter. Unfortunately, there are always some heroes who struggle to find their place in a meta. Soldier 76’s mid-range damage dealing is often outsmarted by tank-heavy compositions. Doomfist is used in professional play as a last-minute, quick-killing objective defender, but can’t find footing beyond that. Ashe is still the newest hero and her kit hasn’t been perfected enough to see consistent play—but time (and changes) may see her rise up the ranks. These tiers are just a starting point for analysis of heroes and their usefulness in the current meta. As usual, this list could be drastically different within a month. Stay tuned to professional play to see how things are changing and how you can use that in your own play.